The series based on Dmi­trij Gluchovskij’s novels has been appre­cia­ted by gamers for its focus on the atmo­s­phe­re and sto­ry­tel­ling and fans have been loo­king for­ward for the new chap­ter to final­ly con­ti­nue their jour­ney, Metro Exo­dus. 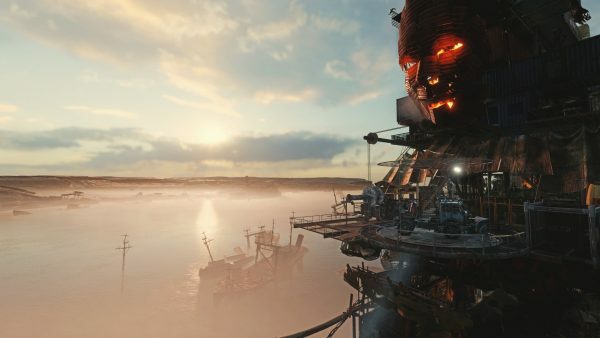 The publisher gran­ted us a PS4 review code for the game ear­ly (and we thank them for this oppor­tu­ni­ty). We didn’t feel com­for­ta­ble in publi­shing a review at this point in time, but we still wan­ted to give you our first impres­si­ons of the game, to also make you look for­ward to the actu­al review which will come at a later time. 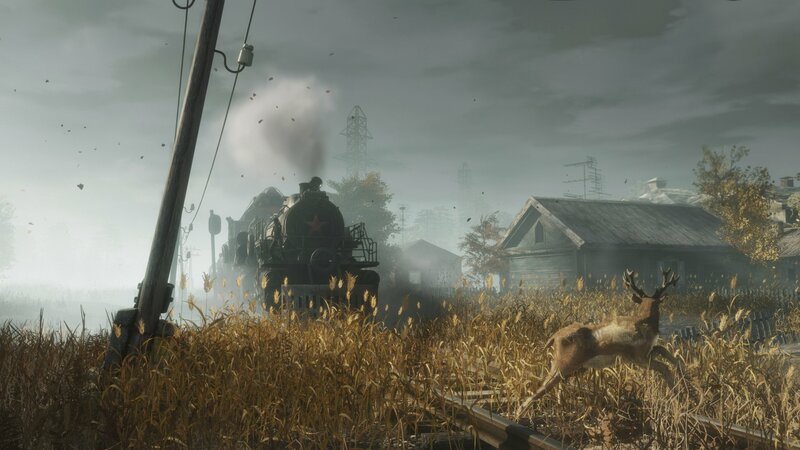 If you don’t have much expe­ri­ence with the series, then don’t worry too much: the game tri­es its best to tell you all that you need to know right from the start. 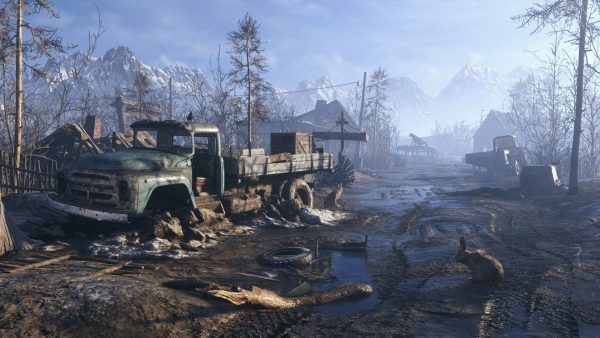 This time the game­play will all be out­si­de the Metro, as Artyom (the main cha­rac­ter) doesn’t want to give up his quest to find more human life. This means that you’ll be able to explo­re several maps free­ly… more or less. This is becau­se the­re are several are­as with radia­ti­on that you’d best igno­re, and the enemies are fero­cious and usual­ly attack you in packs, which means that if you’re not care­ful your ammo and medi­packs will be deple­ted befo­re you know it. Exo­dus encou­ra­ges you to try and take ste­alt­hi­er approa­ches to reach your desti­na­ti­on, avoi­ding making more noi­se than necessa­ry and try­ing to make you keep your resour­ces. You’ll still be able to craft wha­te­ver you need along­si­de your jour­ney, inclu­ding modi­fy­ing your wea­pons, crea­ting ammo and fabri­ca­ting gre­na­des but don’t expect to sud­den­ly beco­me a John Ram­bo of the post-apo­ca­lyp­tic world. So far it also seems pret­ty for­gi­ving, allo­wing to take both ste­alt­hy and aggres­si­ve opti­ons to reach your objec­tive. So the “ste­alth” part shouldn’t worry you as you should get easi­ly used to them; but if you real­ly dis­li­ke them and just want to enjoy the sto­ry shoo­ting at wha­te­ver obsta­cle you may find, there’s a dif­fi­cul­ty opti­on made just for that. We’re cur­r­ent­ly play­ing the game on the nor­mal dif­fi­cul­ty set­ting and it’s pro­vi­ding a decent chal­len­ge, but not a dif­fi­cult one eit­her. There’s also a nice pro­gres­si­ve sys­tem that rewards the play­er for taking cer­tain liber­ties in explo­ring, with some rewards and upgrades thrown at our way. We’re also enjoy­ing the sto­ry and the plot twists thrown at our way, sho­wing that the deve­lo­pers have tru­ly deve­lo­ped this game with care. We’re defi­ni­te­ly enjoy­ing our “exo­dus” so far, despi­te some minor com­p­laints (loa­ding times too long, AI some­ti­mes not good enough) and we look for­ward to com­ple­ting our jour­ney and tel­ling you ever­ything in our full review, com­ing as soon as pos­si­ble!